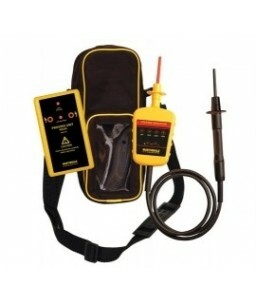 The Martindale VIPD138 contains the VI-13800 voltage indicator and the PD440 proving device, enabling you to comply with health and safety recommendations for safe working, comes with a carry case (TC69). The Martindale VI-13700 has been widely used for many years and as part of its design has always included a fuse in the probe to limit the current in the event of damage to the cable. In order to fully comply with BS EN61243-3:2010 Martindale has released an updated version of VI-13700/2 with a model number of VI-13800. This new model has the fuse replaced by a high wattage resistor in the probe that will limit the current in the event of damage to the cable. This protection is superior to the protection offered by the fuse as the current that can flow under fault conditions is considerably less. The vast majority of competitor products have no protection built into the probe. 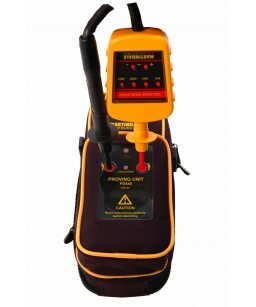 Apart from the fuse/resistor in the probe everything else about the specification of VI-13700/2 & VI-13800 is identical, including the contrasting inner cable sheath to quickly identify cable damage. 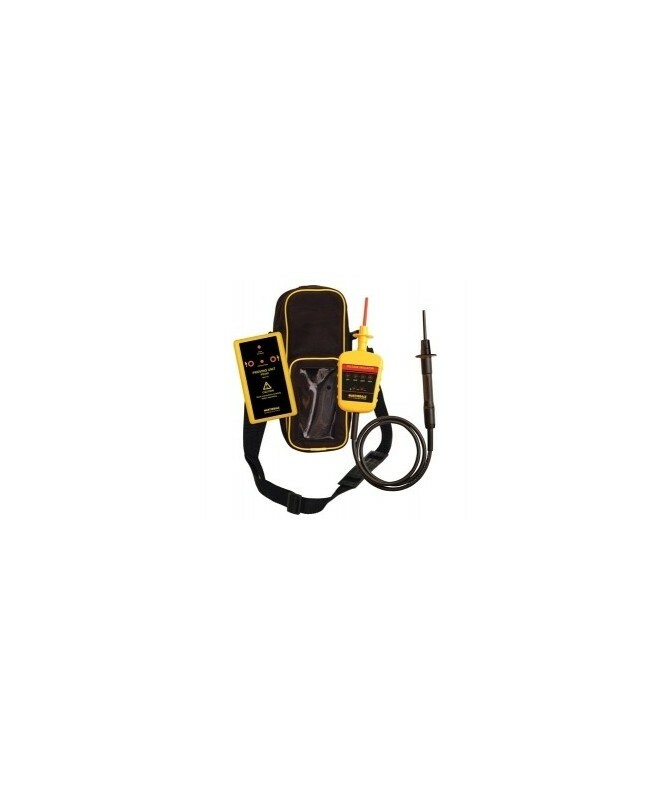 In order to distinguish VI-13700/2 from VI-13800 the new model has the probe changed to all black instead of yellow. The probe is clearly marked “impedance protected” rather than showing a fuse rating. It is sealed and has no user replaceable parts.